The medieval doctor Paracelsus once said that "everything is a poison -- only the dose differentiates a poison from a remedy." His observation remains relevant even today, because many substances, even those that may seem innocuous and familiar, are toxic in a sufficiently large dose. Bleach, for example, is a chemical you use around the house all the time, but if handled improperly, it can pose some serious hazards to your health. Bleach is a solution of a salt, called sodium hypochlorite, dissolved in water and treated with a chemical called sodium hydroxide to make it more alkaline. Different brands of bleach may contain other ingredients such as scent. Sodium hypochlorite, however, is the active ingredient and the one responsible for the actual "bleaching" action -- the chemical reactions that destroy bacteria on countertops and dyes or stains on clothes. Usual concentrations of sodium hypochlorite in bleach range from 5 to 10 percent. Bleach is dangerous if swallowed, and this kind of accident does sometimes happen with children. 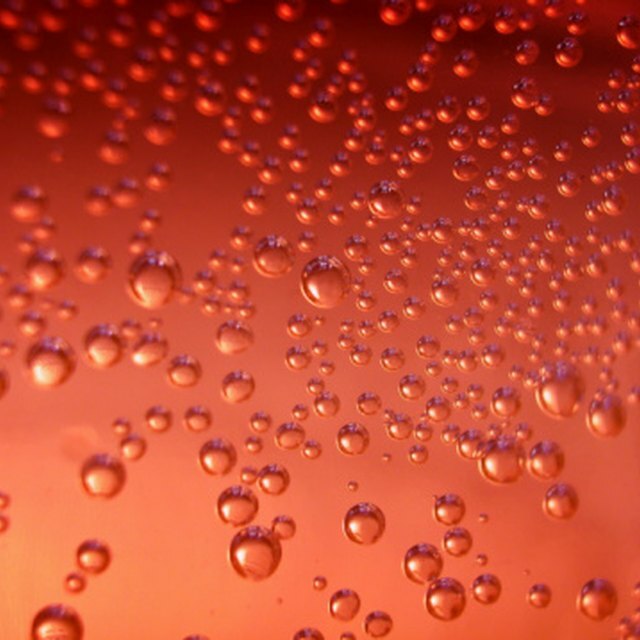 The alkaline solution can burn your mouth, throat, stomach and gastrointestinal tract. Large amounts -- over 200 milliliters -- can potentially cause serious problems, including diarrhea, inflammation of the esophagus or intestinal bleeding. In extreme cases, where very large amounts are ingested, low blood pressure and cardiovascular collapse are possible. Bleach is also a skin irritant, and if you get it in your eyes, it may cause severe irritation, conjunctivitis and even corneal damage, depending on how long it's left in contact. Bleach is most hazardous when inappropriately mixed with other chemicals. 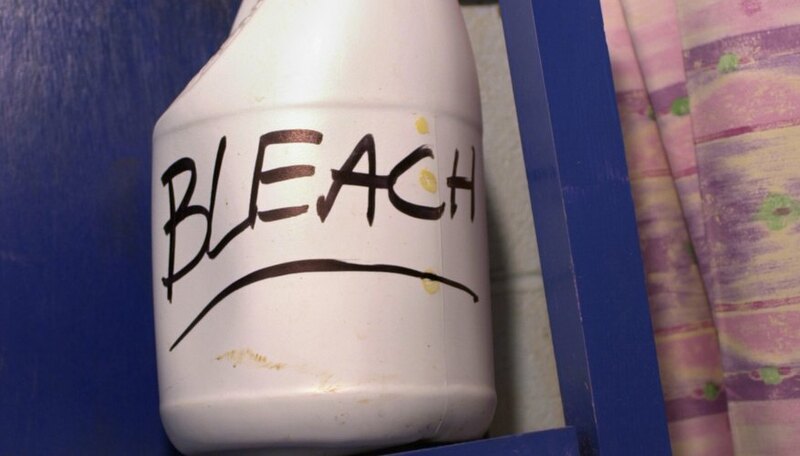 Combining bleach with an acid, for example, liberates pure chlorine. This pale yellow-green gas was used as a weapon during the World War I; it causes severe and immediate pain and irritation to your respiratory tract. At high concentrations, chlorine causes fluid buildup in your respiratory tract and lungs, potentially leading to lung failure and death. Mixing bleach with ammonia is another unwise move; the ensuing reactions generate chlorine-nitrogen compounds called chloramines. Chloramines cause coughing, chest pain, nausea, severe irritation and, at high concentrations, fluid buildup in your lungs -- similar to the effects of chlorine gas. Bleach is not classified as a carcinogen. The International Agency for Research on Cancer, has ruled that evidence is not sufficient to definitively classify it as carcinogenic or noncarcinogenic, although studies in animals have found that it has no carcinogenic activity. Repeated skin exposure may cause severe irritation. Sodium hypochlorite itself is a salt that does not evaporate readily, so it cannot be inhaled; possible inhalation dangers associated with bleach are primarily a result of chlorine gas produced when it's mistakenly mixed with acids. Based in San Diego, John Brennan has been writing about science and the environment since 2006. His articles have appeared in "Plenty," "San Diego Reader," "Santa Barbara Independent" and "East Bay Monthly." Brennan holds a Bachelor of Science in biology from the University of California, San Diego. Why Do People Get Hiccups? How Does Asparagus Make Urine Smell? Brennan, John. "Toxicity of Household Bleach." Sciencing, https://sciencing.com/toxicity-household-bleach-21461.html. 25 April 2017.